We're going to Hell and Back to fund raise for 2 great causes. Your support is very much appreciated. 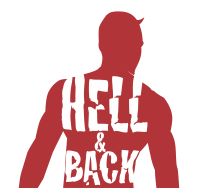 We're taking part in Hell and Back on Saturday 15th of June 2019 . 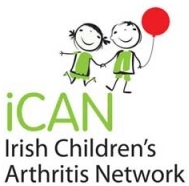 We've chosen to fundraise for iCAN Irish Children's Arthritis Network and Irish Motor Neurone Disease Association . All funds raised here will go directly to these great causes. Hell and Back is "Irelands Toughest Mental & Physical Endurance Challenge, is the countrys largest and most popular obstacle course run. We convert stunning private farm estates into adventure playgrounds, where participants must complete a 10-15KM trail route crossing rivers and lakes, climbing hills and mountains and crawling through bogs and swamps. To survive, you must conquer all the elements thrown at you, whether that is the temperamental weather conditions, the grueling natural environment or the torturous man-made obstacles." You must all be mad!